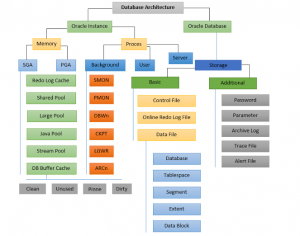 Oracle Database Architecture Consists of an Oracle instance and an Oracle database. 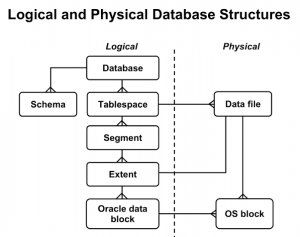 Each running Oracle database is associated with an Oracle instance. 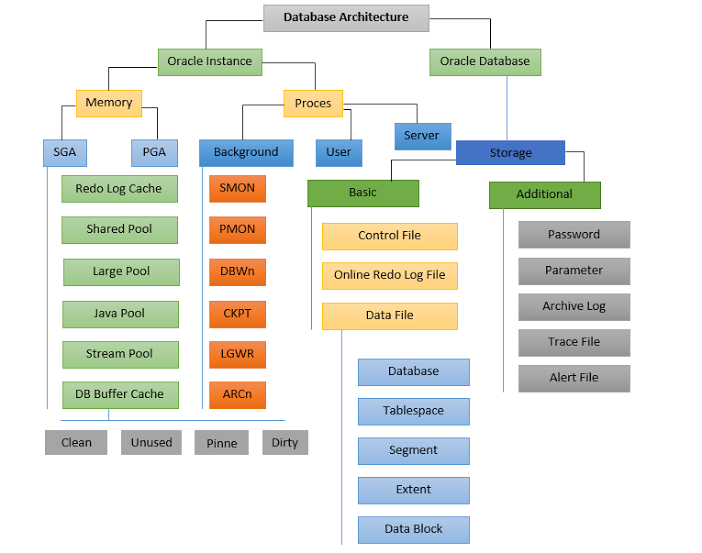 When a database is started on a database server, the Oracle software allocates a shared memory area called the System Global Area (SGA) and starts several Oracle background processes. This combination of the SGA and the Oracle processes is called an Oracle instance. System Global Area (SGA): Shared by all server and background processes. Program Global Area (PGA): Private to each server and background process. There is one PGA for each process. Pinned: Multiple sessions are kept from writing to the same block at the same time. Other sessions wait to access the block. Clean: The buffer is now unpinned and is a candidate for immediate aging out, if the current contents (data block) are not referenced again. Either the contents are in sync with the block contents stored on the disk or the buffer contains a consistent read (CR) snapshot of a block. Free or unused: The buffer is empty because the instance has just started. This state is very similar to the clean state, except that the buffer has not been used. Dirty: The buffer is no longer pinned but the contents (data block) have changed and must be flushed to the disk by DBWn before it can be aged out. Control files: Contain data about the database itself (that is, physical database structure information). These files are critical to the database. Without them, you cannot open data files to access the data within the database. Data files: Contain the user or application data of the database. Online redo log files: Allow for instance recovery of the database. If the database crashes and does not lose any data files, then the instance can recover the database with the information in these files. 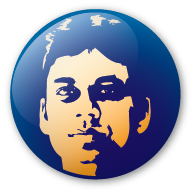 Backup files: Are used for database recovery. You typically restore a backup file when a media failure or user error has damaged or deleted the original file. Archive log files: Contain an ongoing history of the data changes (redo) that are generated by the instance. Using these files and a backup of the database, you can recover a lost data file. That is, archive logs enable the recovery of restored data files. Trace files: Each server and background process can write to an associated trace file. When an internal error is detected by a process, the process dumps information about the error to its trace file. Some of the information written to a trace file is intended for the database administrator, whereas other information is for Oracle Support Services. Alert log files: These are special trace files. They are also known as alert logs. The alert log of a database is a chronological log of messages and errors. Oracle recommends that you review these files.